I'm from Alabama and I went to Ft. Drum, NY the weekend of 22 October 2010 to visit with my son before he deploys to Afghanistan. While we were there we went out to eat at a local restaurant in Watertown.. 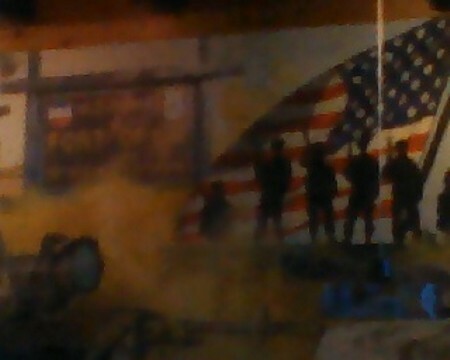 I saw a beautiful mural on the wall dedicated to his unit so I wanted a picture of it. I took the picture with my cell phone and noticed the plaque that said my sons unit on it did not show up, but a mans face did.. 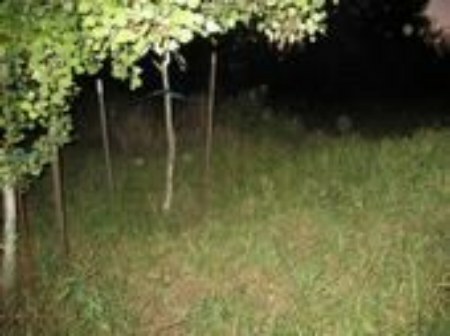 I can see a head and 4-3 orb.